Stella Abraham: Gobsmacked on Britain's got talent! 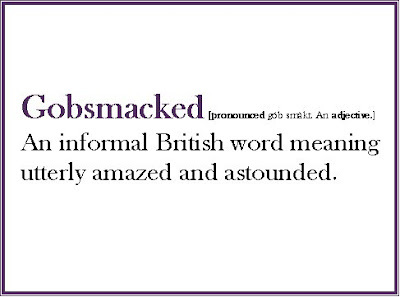 For ages, colleagues and friends in Vermont have been hearing say Gobsmacked! There has been so much talk about the word recently in the press........to think it had already been heard here in Vermont! The Scottish woman who became an Internet singing sensation after her performance on a British talent show said Friday she doesn't want fame to change her. Susan Boyle, 47, has said she's still the same humble girl next door despite her knockout singing on "Britain's Got Talent." She shocked and inspired the audience, judges, and Web watchers with her rendition of "I Dreamed a Dream" from the musical "Les Misérables" in the first round of the show. Click here for the rest of the CNN article. Click here for the You Tube video of the performance.